As we finish up our fall chinook salmon season and transition into winter steelhead I would like to thank everybody that helps get it done. Willie Boats, you guys build the most functional nicest Jet and drift boats out there. Simply the best. Mad River Mfg. 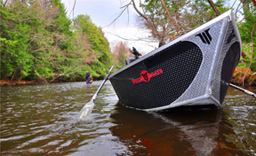 from the mad river drifters, to fish pills, to your full line of plastics. My techniques would not be nearly as effective without your innovation!! P-Line, we use a full range of mono, braid, fluorocarbon and floating line that P-line produces. We also use a full line of terminal tackle, including snap and barrel swivels, pliers and other tools. Once you try it, you won’t try anything else. Owner hooks. From the treble hooks we use on all of our plugs, to the smallest side drifting hooks. These hooks are the sharpest, toughest hooks out there!! Lamiglas rods, Lamiglas offers a line of rods with all skill levels, techniques and price range in mind. Your rods truly make me a better guide. Englund Marine, if they don’t have it, they can get it. From the commercial to the sport fishermen. Little Rays Tackle. Tommy is always a phone call away. Most of all, I would like to thank our customers. Without You guys and gals I wouldn’t be living my dream. Thank you to all of my sponsors. The next time you are making a purchase, please consider these producers. If my word isn’t good enough, do your research. You will find that these companies provide the best product that money can buy! Like me on Facebook for the most up to date info.